One of my favorite things about social media is meeting other families that love to travel. I like to dig in and find out what works for them, because every family travels differently and for unique reasons. This series spotlights families that love to travel like we do. We hope you’ll enjoy the latest installment of our “Travel Family Spotlight” series. 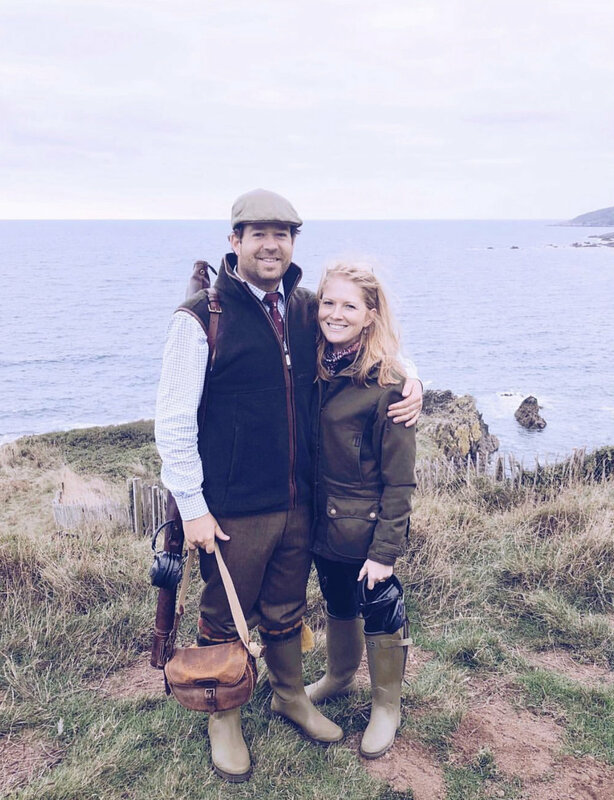 Jordan Rhodes, founder and editor of the luxury travel guide, Glimpse Guides, was kind enough to give us some insight into her family, why they travel, and some of the things her family has learned from all of their experiences. 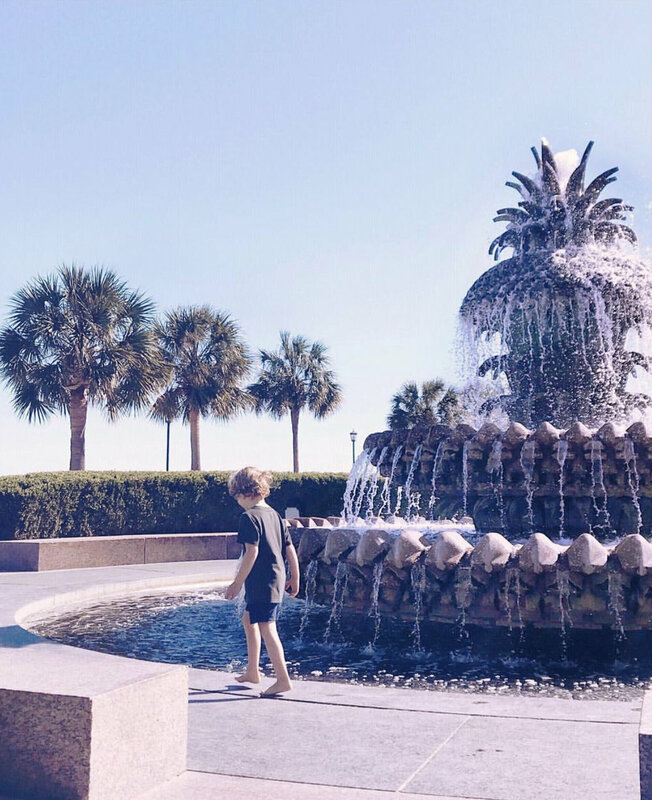 Jordan has extensive resources on her blog for upscale family travel and also has an app with city guides for families. Glimpse Guides is a “collection of city guides for parents who don’t want to give up dining in stylish restaurants, staying in luxury hotels or shopping at some of the most charming and exclusive boutiques in the world, just because they are traveling with their children”. We love that all the recommendations in the guides are kid-friendly yet fashionable, and Jordan and her team have personally experienced each city with their own families. Jordan also has a philanthropical arm to her business, the money she makes on guides and any products she sells goes to “Give a Glimpse” which in turn covers travel costs for disadvantaged scholarship students wishing to study or intern abroad and artisans working to create products. We hope you’ll love getting to know Jordan and her family like we have! You can find more about Jordan and Glimpse Guides on her website and Instagram account @glimpseguides, or download her app in the app store. 1. Tell us about your family. 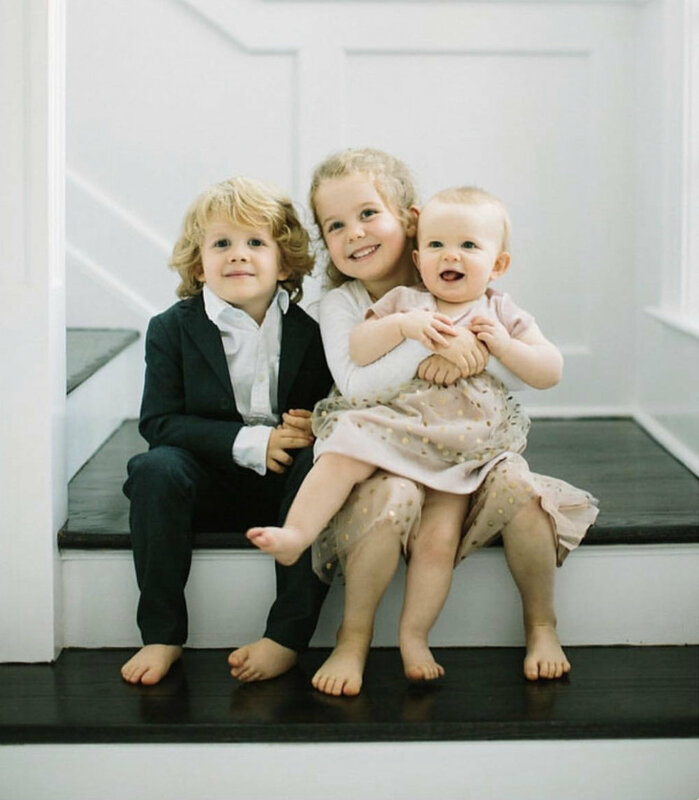 I have three kids (unless you count my husband)… Scottie is 6, Noah is 5, and Georgie is 22 months. We also have two dogs, a really sweet Cavalier King Charles Spaniel named Berkeley and an up-to-no-good Golden Retriever puppy named Ruffin. 2. Where do you live when you are not traveling? Has your family moved around at all? We have lived in Greenwich, CT for 12 years. Before that I lived in New York City, London, Charleston, and grew up in Little Rock, Arkansas. 3. How often do you travel with your family? Is it local travel or international? Where has been your favorite place your family has traveled so far? I travel at least once a month and I would say the majority of that is with one or all kids. We do at least one international trip a year with kids but my husband and I usually do 3-4 together overseas. 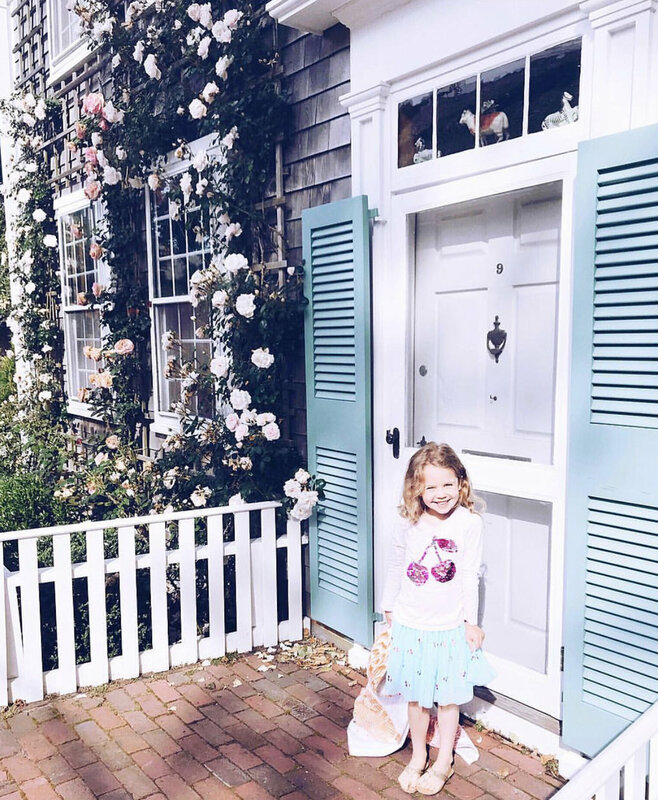 Nantucket is a huge favorite with kids but we also love big cities like London. Italy is definitely very kid-friendly, which is helpful when you want to have some nice wine with a meal. 4. Why do you like to travel with your kids? I love to travel with my kids because it makes me so happy to watch them see and learn something for the first time. I’ll never forget the joy they felt going down a hill in San Francisco on a trolley, or how wide my daughter’s eyes got seeing the London Eye, or dancing in the street with a jazz band in New Orleans. All things they would never experience in Greenwich. Travel is just as important an education as school. 5. What are some unexpected things that you've encountered as you have been traveling with your family? In London this summer I was so proud to discover that my kids have empathy. Whenever they saw a homeless person on the street they would beg me to give them money, and if I didn’t have any they would make sure we returned later with some. It made me so happy that somewhere along the way, they realized that there are those less fortunate in the world. Again, not something you would find in Greenwich so I know they picked up on that from travels. 6. What's the most memorable travel experience you've had with your family? That is a tough one! I think the most memorable for me - but I am a huge Anglophile - was the Christmas we spent at The Connaught in London. Santa was there to pass out gifts, they had horse and carriage rides through the neighborhood with hot chocolate, and we had several amazing multi-course meals at The Connaught and its sister hotel, Claridges, which were kid-friendly because it was Christmas so it was so nice to be able to dress up and bring the kids to really nice restaurants. London is magical in December. 7. 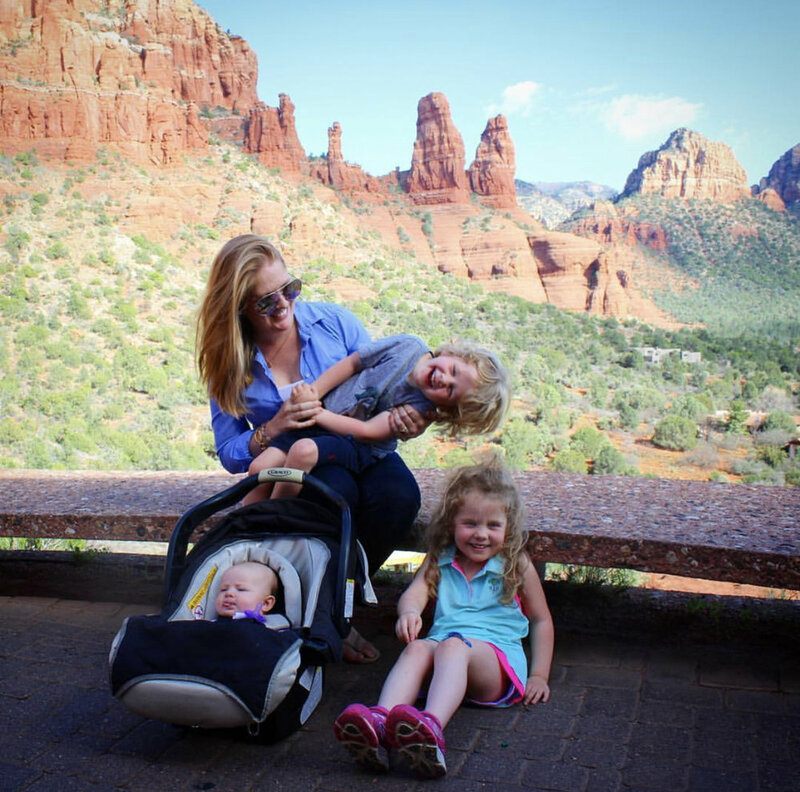 What are the easiest and hardest parts about traveling with kids (for your family)? The hardest parts are the flights. 8. What are some of your favorite travel resources? 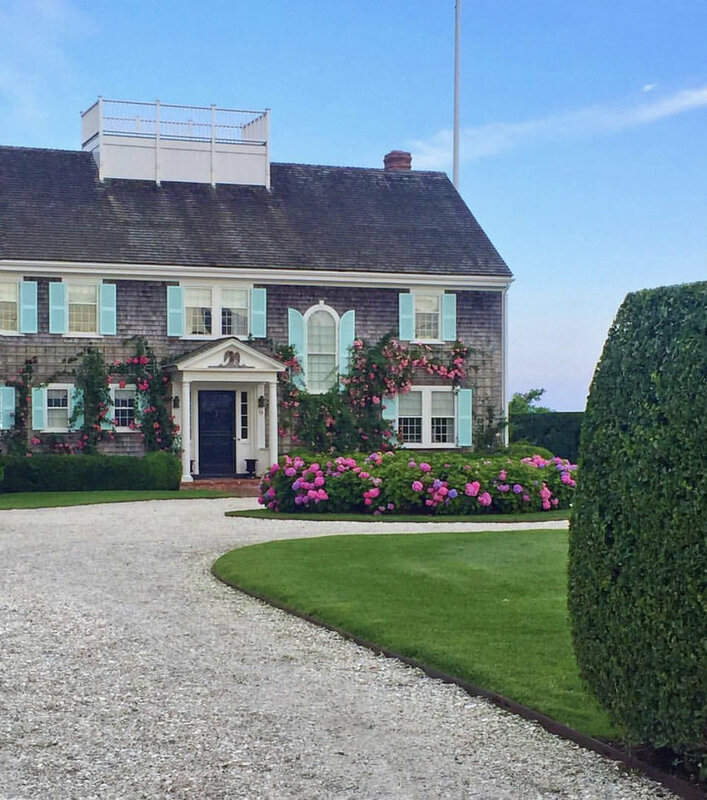 I find inspiration from magazines like Town & Country, Departures, and Garden & Gun. And Instagram is the best, as well. I’m also drawn to other adventurous souls so I’m lucky to have discerning friends give me tips. 9. What advice would you give to other families who want to start traveling as a family and aren’t sure how? Download my app of city guides! Not only do they contain lists of stylish, kid-friendly restaurants, hotels, and boutiques, they also include itineraries and tips plus maps of everything so you’ll know what’s near you. It’s in the app store under Glimpse Guides and I think it makes traveling easier! I’m also happy to chat with anyone who has questions about traveling. We are lucky that my husband travels constantly for work (he is a healthcare investor), so often we are tagging along on his trips, and that’s also why he racks up so many miles on Delta. 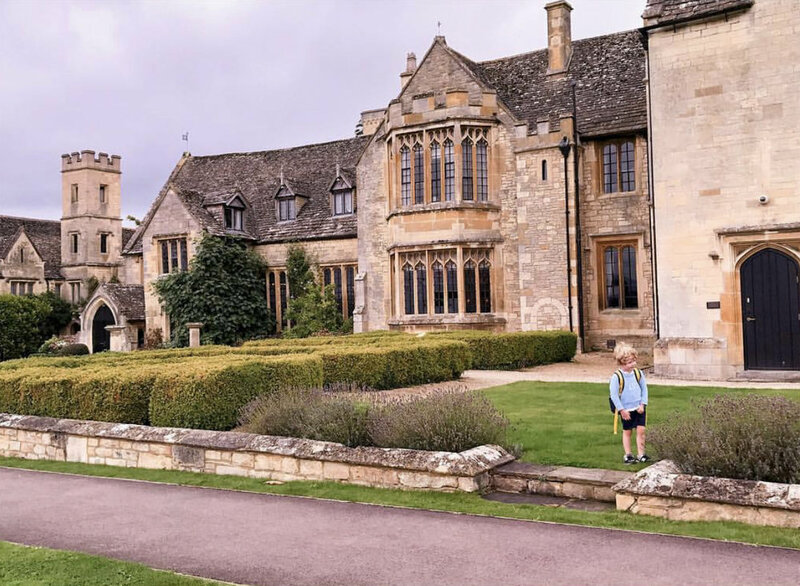 As for school, my kids are still young enough to be able to miss days, but we also chose a wonderful progressive school that understands the importance of travel and one-on-one time. 11. What are three items you never leave home without? iPads for the older kids, a pacifier for the baby, and Aromatherapy Associates ‘Support’ oil — it keeps me calm no matter what. 12. Where are you headed next? St. Barth’s with some fellow bloggers and then Aspen for Christmas!